I have been waiting for this one. Today I got to experience disappointment. It is real in this moment. I was to have some technical and moral support in this Twelvemonth.me project from a trusted source who, in following her own guidance, lovingly backed out. So now I get to extend love to someone else’s lack of commitment. The irony is rich. Of course there really IS no one else. It is my own fear of keeping a commitment playing out for me. Even though I am dimly aware the disappointment lies within me, it is easier, safer for me to project it out in a weak form of blame, “Well, that figures! This always happens!” In this moment the impossibility of my commitment to extending love daily for twelve months and recording my experience BY MYSELF seems nigh impossible. Disappointment is a heavy, dragging energy. I feel easily prone to weeping and dissolving into “what’s the point anyway”. I extend welcome to this thought. This is hard. Disappointment feels very far from love; it feels dark, heavy and distant. This is why blame is usually used in an attempt to “get rid of it”. HS help me see with your eyes, the eyes of the heart. I feel the heaviness of disappointment though I am floating, like a tethered or anchored hot air balloon. Is it here for my safety and benefit? Is this keeping me from danger somehow? I feel like I’m to see something important but I don’t see it yet. I must wait, be willing to wait right here and feel this now. Sure, I trust Holy Spirit, but not “Eva”. I still feel the separation there. “They are weak but He is strong”—the refrain from Jesus Loves Me is going through my head. I extend fellowship to this thought. Fear not, your trust in Self is growing, allow it to be exactly where it is right now. Do not expect it to be any different than it is right now. Imagine a tree just beginning to bud in early spring. The buds are small and present; the life force has already been programmed to come through as always. With warmth and the sun and a little water it may come in a few days early but the budding process is the same. Trust is ever present and is felt as in different stages like the budding to allow creation anew. Trust is a growing, sprouting, moving energy, do not fear the apparent stages of trust, simply add light and water to remember it always buds and blooms at exactly the right time. 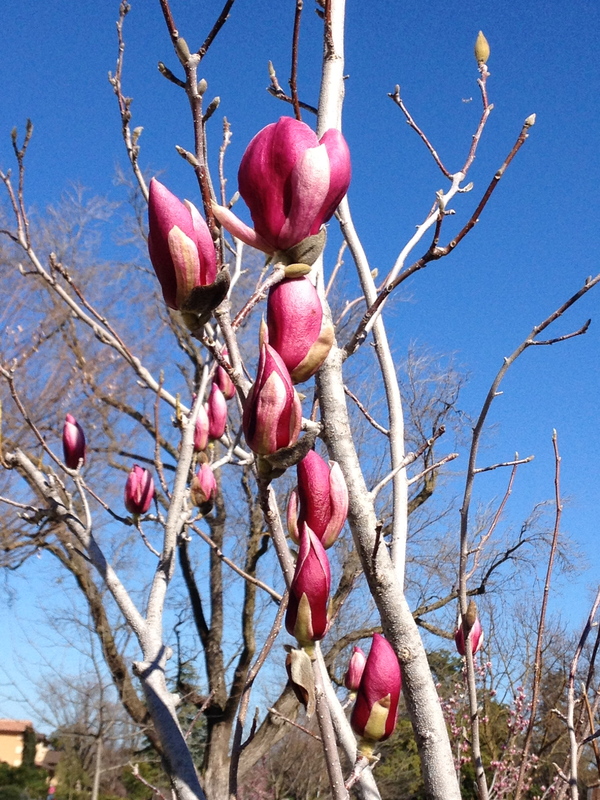 Also remember the showy beautiful budding flowers stage is to bring the tree into full leaf. Trust is the whole process—dormant, bud, flower, and leaf. Trust the process of trusting yourself. Trust is always present. Notice, enjoy and embrace the season of trust you find within your self today. Yes, yes, yes! The very reason we are doing this “work” shows up to prod us into remembering Truth! We are open to re-membering. We have the tools to be helped. We are companioned by Mighty Companions. We are never alone. Every need met. God Bless You, Dear Sister in Spirit, for sharing the process of opening to the Great Power of Truth/Love. My desire is both to keep my own heart awake and to awaken in others that deep and forever true memory of the truth of being 100% Love. I imagine a neon sign above our heads: ALL LOVE, ALL THE TIME! What a great way to deal with disappointment. We normally (or should I say “I normally” complain/blame just like you said, but that adds another layer to the bitterness the dark one plays with when HS gets quieter and we have to strain to hear Him. I will now try to think of disappointment as a lesson to “Trust Him”. I love thinking of disappointment as DIS-appointment, like I missed an appointment to trust.